A Berry Good (Easy To Make) Smoothie Bowl! Are you into the smoothie bowl craze as much as I am? Smoothie bowls are my FAVE, yet I don’t always want to go out to eat them. There are so many places that sell them, which is great when you’re on the go, but what happens when you wake up before those shops open or you’re craving a smoothie bowl when they close? I turned to my favorite store, Trader Joe’s to search for some ingredients to make my own smoothie bowl at home (and I was pleasantly surprised with what I found). 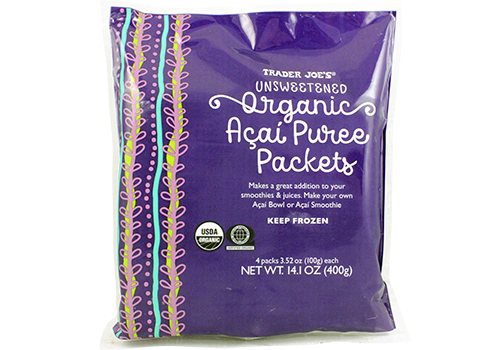 I had every intention of making my own base for the smoothie bowl until I found these Açaí Purée Packets. These packets make the whole smoothie bowl making process pretty seamless. You can defrost the packet and use it by itself, or you can mix it in a blender with fruits, yogurt, kefir, or whatever your preferred smoothie ingredients are. 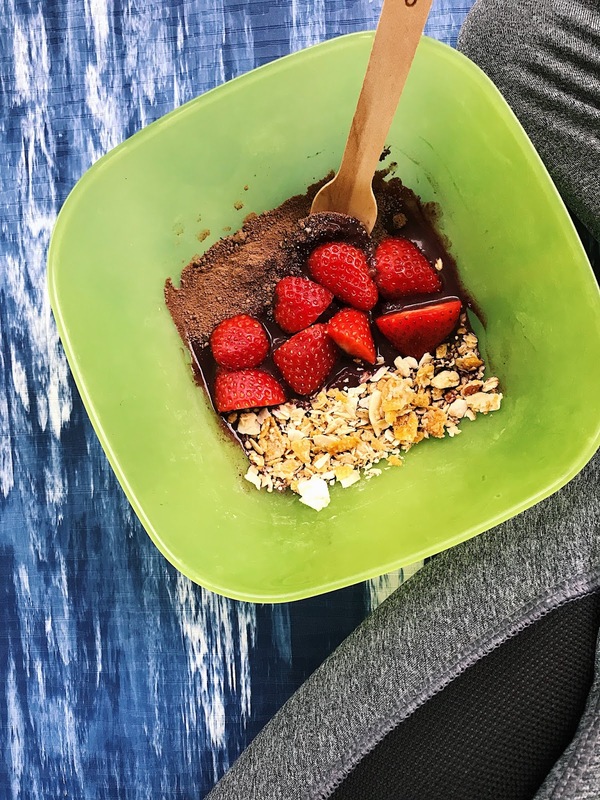 I love chocolate anything, so adding cacao powder to smoothie bowls is a must for me. 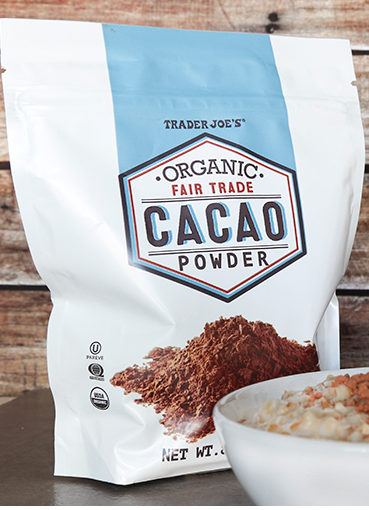 Check out the Fair Trade Cacao Powder from Trader Joe’s or you can find cacao powder at most other grocery stores. 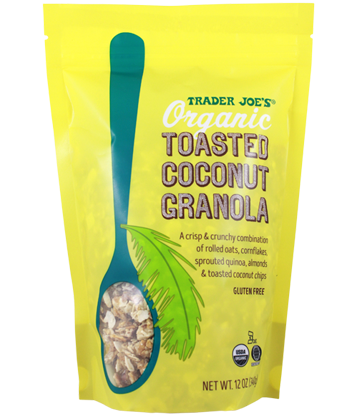 The Toasted Coconut Granola is my new favorite find from Trader Joe’s and I put it on everything, including my smoothie bowls. This stuff is well worth the money (I even add it on top of the dairy-free Chocolate Coconut Milk ice cream)! Top your smoothie bowl with your favorite fruits and voilà, it’s that easy! Really feeling the olive green + black jeans combo lately along with stacked necklaces, bracelets and rings.😬 What’s your go-to outfit choice? WHAT’S IN YOUR BAG? 💼 👜 🧳 I’m living for these @happyspritz essential oil wipes. They’re great to keep in your purse, pocket, gym bag or to use while traveling when you need a little cleanup and refresh! Plus, a portion of sales benefit animal rescue. I picked these babies up from @freedom.yoga. Do you ever have those days where you just feel stuck? Like you need to be reminded of why you started. I put together a Goal Setting worksheet to help you get back on track and stay motivated to crush your goals 💪🏻. Link in bio to download the worksheet! HOW TO MEDITATE. 🧘🏻‍♀️My #MondayMotivation comes from the @meet.betty meditation service. I was introduced to this live streaming meditation service awhile back and LOVE it! I always thought that meditating was something I could never do because my mind would wander but this service has really helped me. You’re guided through different types of meditations daily (the sound healing may be my favorite 😉) and you earn points for participating. I recently traded in my points for this candle 🕯. Want to meditate with me? Use promo code: BETTYANDME017 for a free month!